This guide provides an overview of research methods and the Fordham University Library's collection of business resources. Which Business Database Do I Use? Looking to learn more about corporate bond pricing, hedge fund alphas, or risk taking? Read The Journal of Finance online via the Library's website. To find it search the library catalog for the periodical title "Journal of Finance". On ProQuest's platform. Comprises ABI/INFORM Global, ABI/INFORM Trade and Industry, and ABI/INFORM Dateline. Features thousands of full-text journals, dissertations, working papers, key business and economics periodicals such as the Economist, country-and industry-focused reports, and downloadable data. 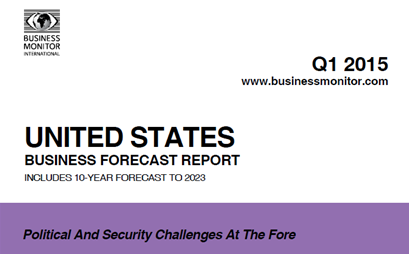 Its international coverage gives researchers a complete picture of companies and business trends around the world. To sign up for these and other U.S. Census reports, go to the U.S. Census site. Sign up for the new U.S. Census app called "America's Economy". Have current economic data at your fingertips! 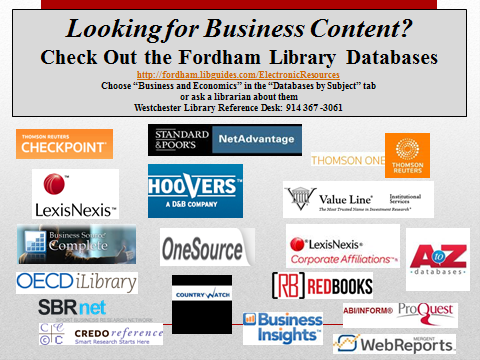 Welcome to the Fordham Library Business Research Guide! The Fordham University Libraries provide access to numerous business print and electronic resources. Use this guide to find books, ebooks, databases, trade journals, newspapers, mass-market business magazines, and more. The topics covered included fundamental business functions such as accounting, finance, marketing, operations research, portfolio management as well as broader subjects such as leadership, entrepreneurship, green business and small business. TIP: Check out trade association websites for free industry data and policy information. See USA.gov for links to other trade associations. ... that the Fordham Library provides easy access for students and faculty to current editions of the following popular business magazines and newspapers? One of Euromonitor's best-selling reference books, this has hard-to-find demographic, economic and marketing statistics for 160 non-European countries. Research includes home ownership, health and population statistics.